A lot of us fantasize about our dream jobs — the way we’ll change the world, the money we’ll make, the assistant we’ll have. Whether you’re an aspiring (or serial!) entrepreneur or looking for a career within a corporate structure, identifying your dream job is essential for helping you to take the necessary steps required to get there. But what if you don’t know what your dream job is? Or what if you work towards your dream job, only to realize it’s not all you had hoped for? 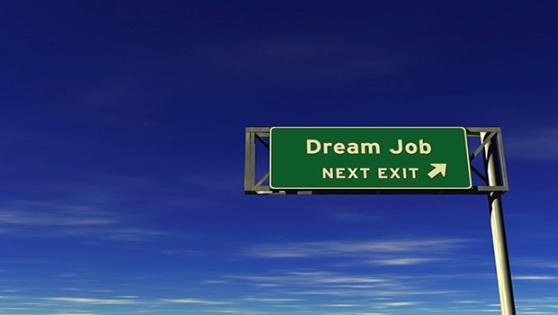 This is (usually) the first question we ask ourselves when thinking about our dream job. It’s at the core of “What do you want to be when you grow up?” It’s about your mission, the legacy you want to leave, the cause you want to contribute to. It’s the most idealized version of our dream job. And while it’s essential to start with the why and know what’s driving you, it’s not enough. Start with the why, but don’t forget about the how. Regardless of your passion or your mission, what tasks do you enjoy doing? Do you like fundraising? Prefer marketing? Love writing? Hate networking? No matter how glamorous your mission may be, every job requires repetitive day-to-day tasks. Get to the bottom of your loves and loathes to really figure out your dream job, not just your dream mission. I find that this is something a lot of people fail to consider in the search for their dream job. Few of us are so incredibly passionate about our missions that we’re truly fulfilled by filing papers for the cause. More power to you if you are! But, if not, it’s important to make sure you not only have a why but also are excited about the day-to-day how. Being clear about this will ensure you wake up every day excited about the day ahead even on those days when achieving your mission seems distant at best. 3. What life do I want to lead? Who do you want to be? When you envision your life in 5, 10, 20 years, where do you see yourself? What is your ideal lifestyle? What role do you play within your company? What is your family life like? Do you want the flexibility to travel or the prestige of a high-powered, no-vacation-days-allowed corporate job? Do you want to be wearing jeans to work or three-piece suits? Sometimes we get wrapped up in our mission or in thinking about our day-to-day tasks that we forget to take into consideration the overall life we’re setting up for ourselves. When your mission, day-to-day tasks and lifestyle all align, you’ll not only know what your dream job is, but also be well on your way to achieving it. For me, all of these things came together with TheBeautyBean.com. What questions helped you find (or create) your dream job? Alexis Wolfer is working to empower women and promote confidence through beauty as the founder and editor-in-chief of TheBeautyBean.com, a television host/on-air expert, and a Real Beauty activist.